Who wouldn't want a cuddle buddy for life? My dogs are my best friends. Every time I see them, a smile appears on my face instantly. They're just like little bundles of pure joy and sunshine and love. Even with that being the case, I know some people find it hard to believe that dogs can truly make life so much happier. Maybe they prefer cats over dogs, or maybe they just don't know yet. I am here to enlighten them and everyone else as to why you really need a dog. Dogs are great when you don't have a significant other to cuddle with. Especially bigger dogs. Their cuddles are even better in the winter because they are basically personal space heaters. The only downside is that they will probably demand more space than your significant other would. Dogs are the best friends anyone could wish for. They don't judge you or wish any harm on you. They won't cancel plans or leave you on read. You can totally confide in them and they will always listen without telling a soul. All they want to do is keep their human happy. They will be your bestest friend. Studies show that being with dogs can lower your blood pressure, which in turn lowers your risk for cardiovascular disease and a plethora of other diseases and illnesses. Having a dog can also help you see the positive on days where you feel very negative. 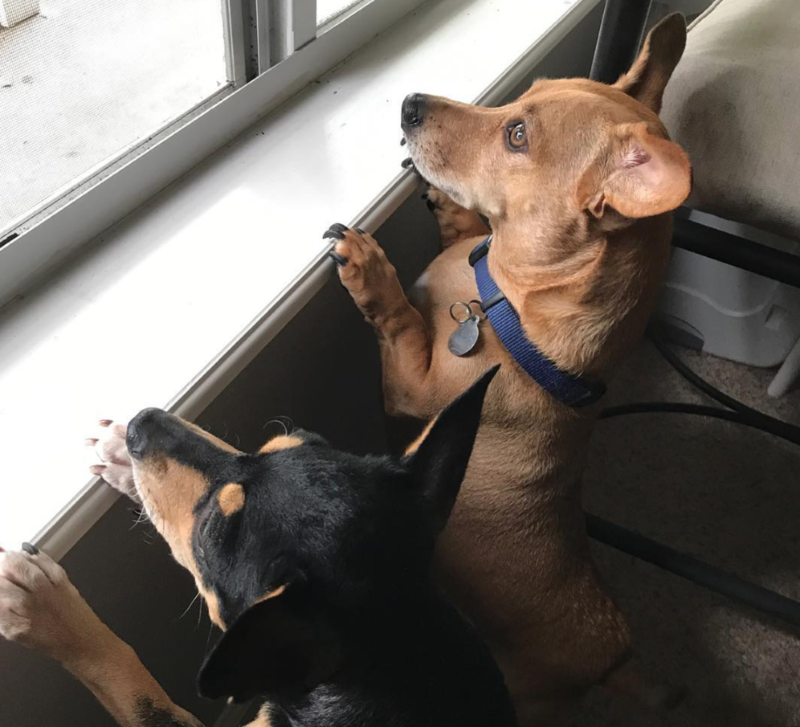 My dogs bring me back down to earth when I'm having an anxiety attack, and pull me back up from the ground when I'm having a depressive episode. They truly are a blessing. Dropped a piece of food on the floor? No problem. Need to pretend you ate something gross? Dog's got you covered. Who needs a vacuum when you have a dog that can clean up your mess for you? It's faster, more efficient, and much cuter. Dogs can definitely have their silly moments, and that is one of my favorite things about owning them. When I'm home from college, I don't go a day without laughing (or at least smiling) because of something my silly pups did. They are a bright light on even your darkest days. Dogs are very active creatures, which is a plus when you are not a very active creature. Need to get in a workout? Take your pup for a walk or a jog, they will happily tag along! A study done in 2010 provided evidence that "children who were allergic to dogs were less likely to develop the skin condition if they had a dog in the home during their first year of life." On top of that, the study said that children who are allergic to cats and had a feline companion instead had an increased chance of 13% for developing eczema. Moral of the story: dogs are better than cats. Dogs are basically a less expensive security system for your house. Big or small, they will let you know when even the slightest threat is approaching, from plastic bags to leaves to strangers on the porch. Dogs are naturally very protective of their humans and will make sure that they are safe. Dogs are social creatures, and so are you! Dog parks are a great place to bring them. You can play with them or just let them play with other dogs. This way they get the exercise and socialization they need, and you can socialize with a bunch of other dogs (and their owners) too. They assist the blind, deaf, and those with other physical disabilities, and can also be wonderful companions for those with PTSD, depression, anxiety, and more. No matter how long you're gone, your dog will always be happy that you're back home. You are guaranteed to be greeted with kisses, jumps, wiggles, and lots of love. The best part of Halloween is dressing up, and having a dog to dress up too would be absolutely adorable. Plus, they could be incorporated into your costume! How cute! This is the only reason you need. Get a dog solely for this reason. Animals that almost seem imaginary. The world is full of amazing animals. So amazing, that narrowing them down to 20 felt nearly impossible. To determine who made the cut for this list, I used very important factors such as, cuteness and how much some of them looked like Pokémon . I know, very official. 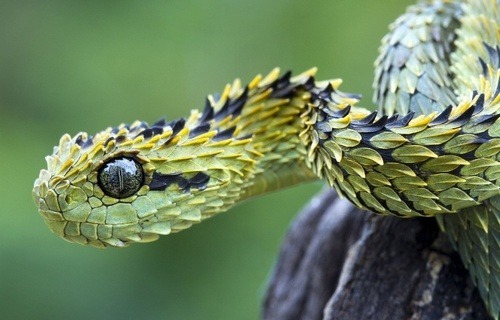 So here are some of the coolest animals in the world. 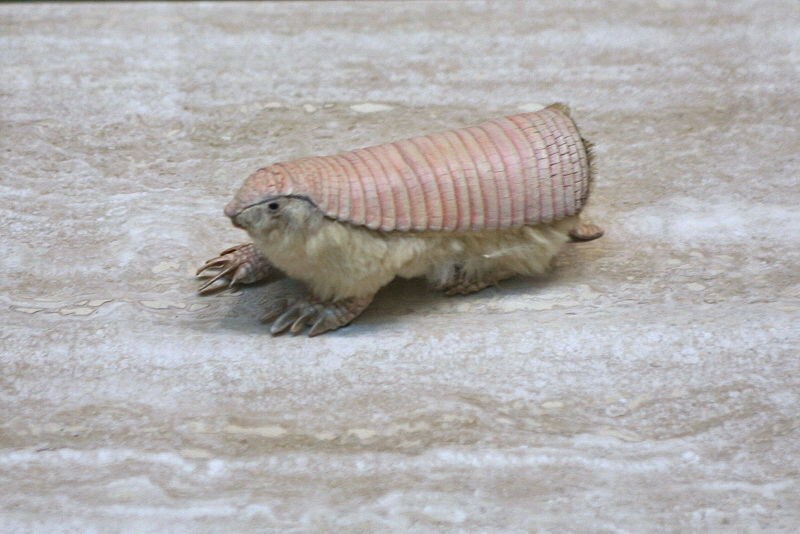 The pink fairy armadillo is the smallest and cutest species of armadillo. It is on the list of threatened species and is found in the sandy plains, dunes, and grasslands of Argentina. The pink fairy armadillo is a nocturnal creature that survives mostly on insects and plants. The okapi is an animal native to the Democratic Republic of Congo in Africa. 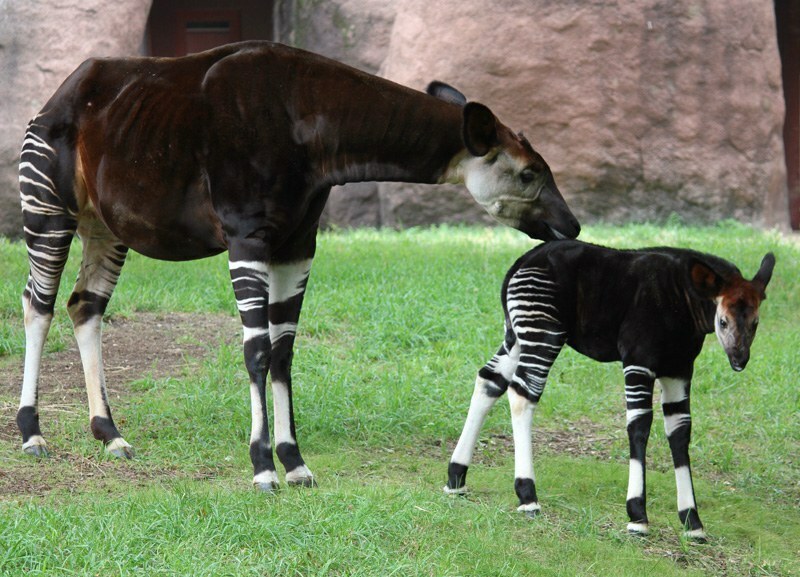 Although the stripes make many people believe okapi are related to zebra, they are actually closer to giraffe. Okapi are solitary creatures and come together to breed. They are herbivores, mostly eating leaves, grass, and other plants. 3. 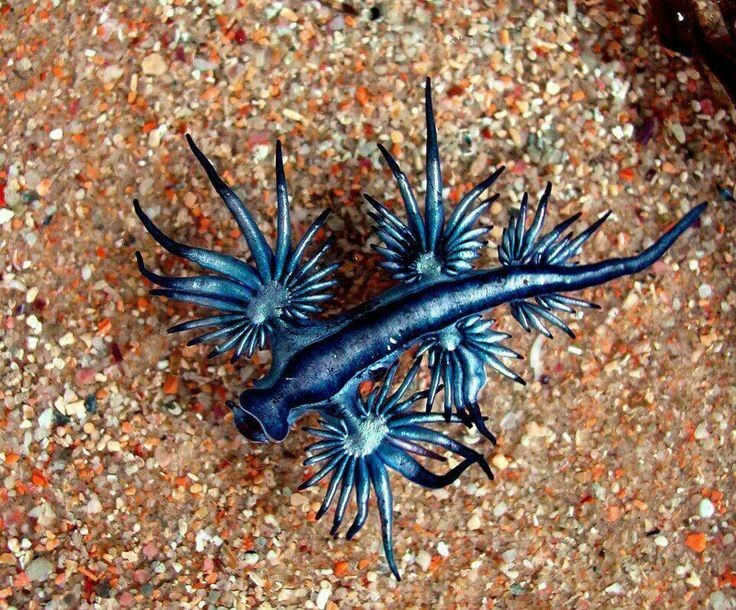 Glaucus Atlanticus or "the Blue Dragon"
These little dragon-like creatures are often only about a few inches long and can be found in the Indian Pacific Oceans. The blue dragon floats upside down in order to blend the blue side of them with the water, and the silver side with the surface of the ocean. This tiny dragon feeds on creatures like the man o' war and can even deliver a sting similar to it. 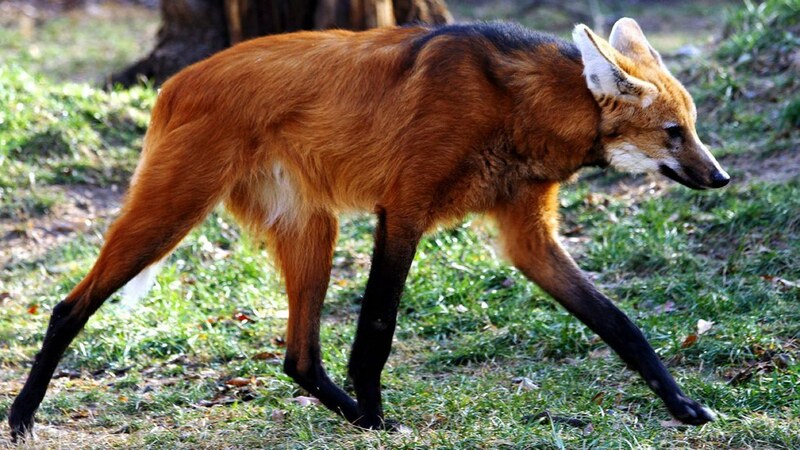 The maned wolf is often found in the grasslands of south, central-west, and southeastern parts of Brazil. It is neither related to wolves nor foxes despite its appearance and name, but is actually closer to dogs. The maned wolf hunts alone and primarily eats both meat and plants (about 50% of its diet). 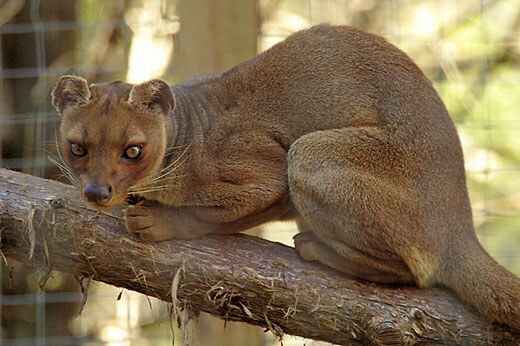 The fossa is a carnivorous animal located in Madagascar. Despite having many traits similar to cats, it is more closely related to the Mongoose. The fossa is only found in forest habitats and can hunt in either daytime or night. Over 50 percent of its diet happens to be lemurs. As the name suggestions, the Japanese spider crab inhabits the waters surrounding Japan. In many parts of Japan, this crab can be considered a delicacy but can be considerably difficult to catch. 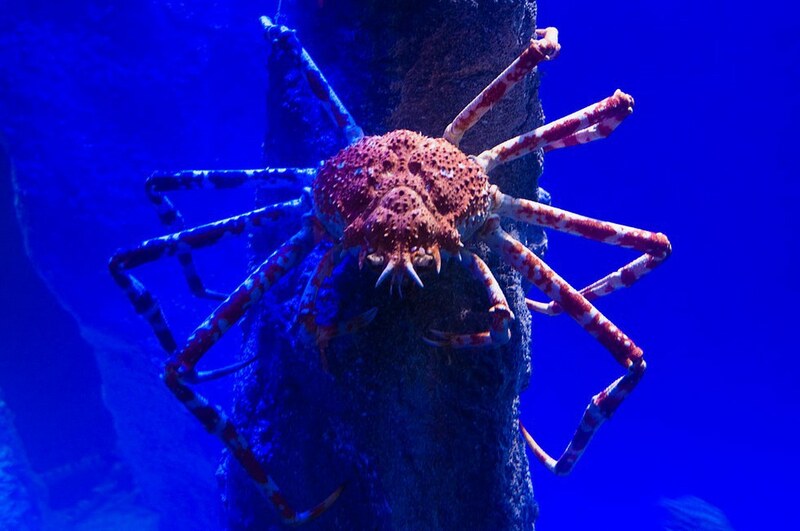 The Japanese spider crab can grow to 12 feet long from claw to claw. There is only one sea creature-- amongst similar species (aka crustaceans)-- that beats the weight of a Japanese spider crab: the American Lobster. Look closely at the teeth, do they look familiar? This fish is found in the waters of South America. This fish, while related to the piranha, can actually grow much larger. They can also be found in rivers like the Amazon and is an aid to the fishing industry. 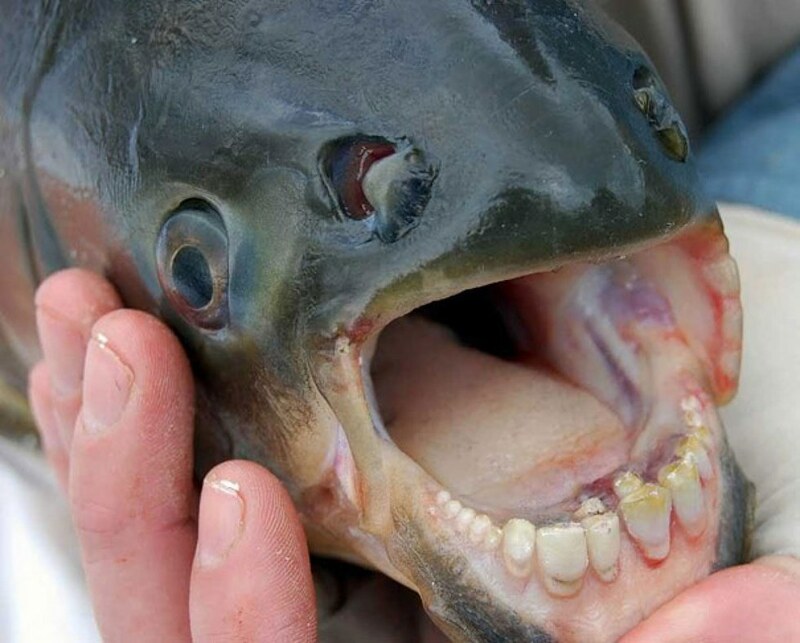 Unlike the piranha, pacu mostly only eat seeds and nuts, though can still create nasty injuries to other animals if need be. The slow loris is a nocturnal creature found in Southeast Asia. While very adorable, the loris's teeth are actually quite venomous. The toxin on their teeth can also be applied to fur through grooming to protect its babies from predators. Often times these creatures forage and spend time alone, although can on occasion be seen with other slow lorises. Apart from their toxic teeth, the slow lorises have another defense mechanism, in which they move nearly completely silently in order to prevent discovery. 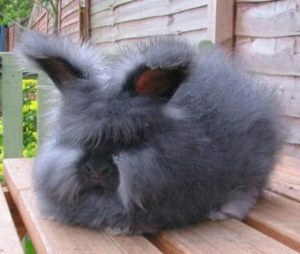 These cute, fluffy rabbits are among the hairiest breeds of rabbit of both wild and domestic types. These rabbits originated in Turkey although managed to spread throughout Europe and was even brought to the United States in the 20th century. These rabbits are often bred for their soft wool which can be made into clothing, and often get rid of their own coats every 3-4 months. The axolotl or "Mexican salamander" (who looks like a Pokémon , if you ask me) is often spotted in lakes in various places around Mexico. These little salamanders are amphibious although often spend their adult lives strictly in the water. However, the population of these cute creatures is dwindling due to non-native predators and the continued urbanization of Mexico. 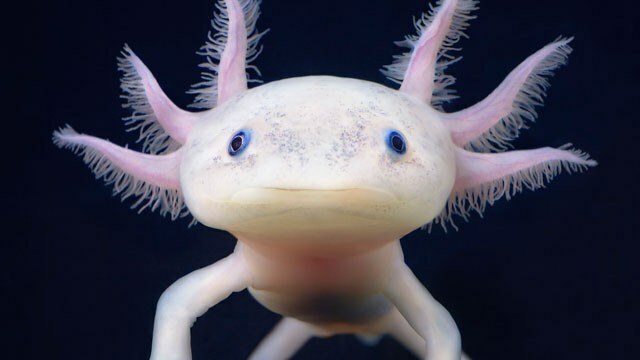 The axolotl eats small worms, insects, and fish in order to survive. The liger, however made up it sounds, is a real (and cute) animal created by a lion and a tiger mating. 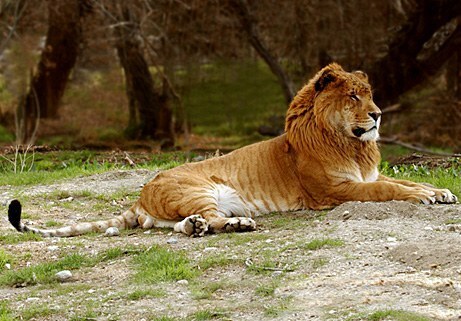 Ligers only seem to exist in captivity or zoos because the lion and tiger don't share the same habitat in the wild. Unfortunately, these animals don't live very long or are sterile despite being bigger than both the lion and the tiger. While these animals are cool and unique, they are not strictly natural or sustainable. I don't know about you all, but this vulture reminds me of a phoenix which was initially why I looked into the creature. These vultures inhabit a range of places from southern Europe to the Indian subcontinent, to Tibet. 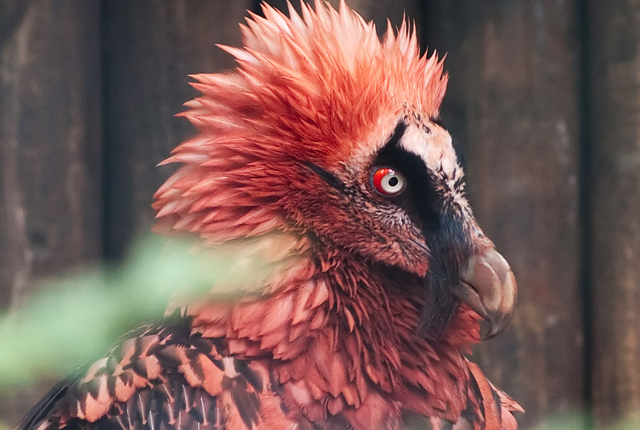 This vulture, like other vultures, typically eats dead animals, although it has been documented that the bearded vulture will attack live prey more often than other vultures. This unusual shark is also known as a "living fossil" because they are the last representative of sharks that lived about 125 million years ago. It is a deep sea shark that can grow between 10-13 feet if not longer. The goblin shark has been caught accidentally in every major ocean. 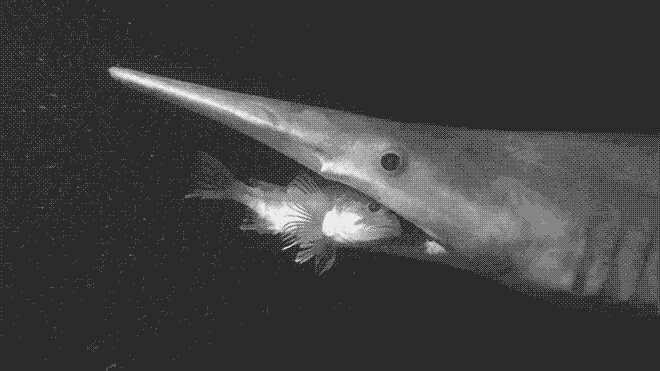 The goblin shark is not a fast swimmer and relies on ambushing its prey. 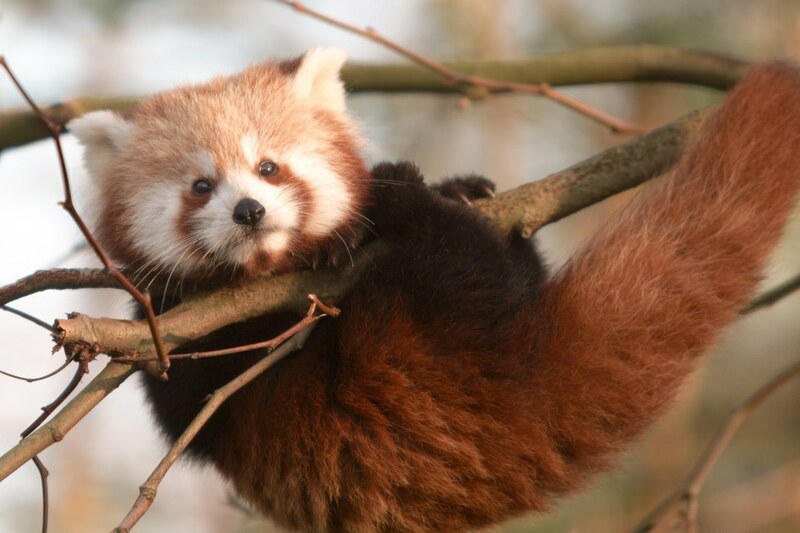 This cute, small panda lives in the eastern Himalayas and southwestern China. The red panda is rather small, only about the same size as most domestic cats. Its eating habits range from bamboo, to eggs, to insects, and several other small mammals. The red panda is primarily sedentary during the day and at night or in the morning does whatever hunting it needs to do. 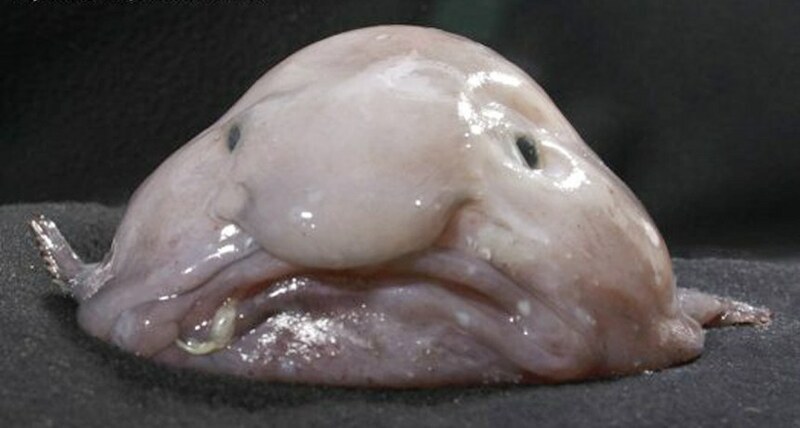 This blobfish is, in a way, so ugly that it is cute (although reminds me of a certain Pokémon ) This fish lives in the deep waters of Australia, Tasmania, and New Zealand. The blobfish has a density only sightly above that of water. The fish primarily hunts by just floating along and letting creatures wander into its mouth, rather than expending any energy. 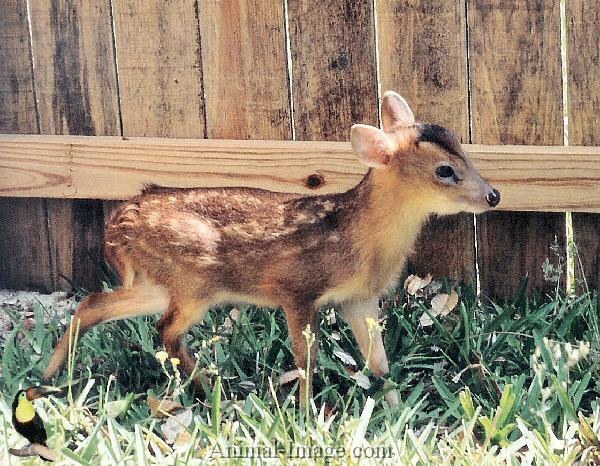 The leaf deer is usually found in dense forests in the northwest region of Putao. The adult leaf deer only stands at about 20 inches high and the males and females are nearly identical except for an inch long horn on the males. It is called a leaf deer because hunters could wrap the deer in a single large leaf. While tigers are a more common animal than many others on this list, it is still one of the coolest animals in the world. 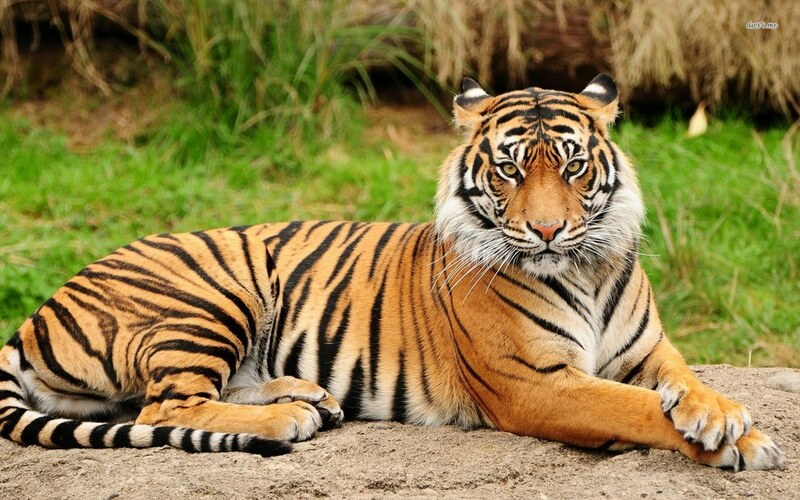 Tigers are the largest of all cats and once ranged from Russia, to Turkey, to parts of Asia — almost all over the world. These animals are fierce, powerful creatures, although they are on the endangered species list. Narwhals are a species of whale that live in the waters around Greenland, Canada, and Russia. The narwhal's diet changes depending on the time of year: in the spring the narwhal will eat cod, while in the winter the narwhal will eat flatfish. Narwhals can live up to 50 years and most frequently die of suffocation from being trapped under the ice. Cheetahs, while more commonly heard of then some of the other animals on this list, are still incredibly cool. They often inhabit many parts of Africa and Iran. These amazing cats can reach up to 60 miles per hour in three seconds and use their tails to make quick and sudden turns. These amazing cats also have semi-retractable claws which helps with speed. The cheetah, however, doesn't have much besides speed to defend itself. This GIF demonstrates the mating dance used by male superb birds of paradise. Typically females reject about 20 mates before selecting one they want to mate with. They are often found in New Guinea although it is unsure just how many of these birds there are. As far as scientists know, the population has remained stable. Your perseverance taught me I can get through anything with love. When I first heard of you, I had no idea you were going to pop into my life. I fought long and hard to get Mom and Dad to let me have your brother, Bolt, and after five years of having him, I did not expect them to want to welcome in another furry friend. I hardly expected them to want to do so as a major hurricane that had just destroyed Puerto Rico barreled its way here, but they did. Mom called me and told me you existed as I was about to come home. Here, I thought classes finally being canceled was going to be the best news I got all day. She sent me a picture of you in your crate and I did not even have to hear the rest. I knew I wanted to have you. Even if I had to force Bolt to learn to share and be nice, I knew you were mine. Mom knew too and, after asking me if I was sure I wanted you—can you believe she had to ask?—we set off to bring you home. Bags packed, I met you an hour from home at some shady restaurant in the middle of Melrose. You were tinier than I expected and far skinnier than Bolt, but you wagged your tail at me and even jumped up to give me a kiss without any hesitation, and I fell for you. I had no idea what you had been through leading up to that moment. They told us you were rescued from Hurricane Harvey only two weeks before, but that was all I knew. I had no clue your foster home had been flooded and that you were forced to float on a couch cushion to stay alive. I had no idea that you were covered in mud when they found you. All I knew when I got to hold you for the first time was that you were a very sweet girl who immediately showed me love. What the wonders of unconditional love can show you. You should have seen all of our faces when you first met Bolt. You were too busy sniffing him and already showing him you were the alpha dog to notice, but we were smitten by you. I felt my heart grow full knowing you were getting along with him. I felt utter joy knowing you were allowing us to give you a permanent home. I was worried though about our future. About your future. We were not in the direct path of Hurricane Irma at the time, but I knew Irma was coming, and I was scared of how you would react. I saw you begin to tremble as it started to rain, and I noticed you begin to follow us around more skittishly than before. You probably thought Bolt was dumb for lounging around like normal. You also probably thought we were ridiculous for trying to get you to go out before things got bad. That night when things did get bad, I will never forget the lesson you taught me. As I sat in bed, I watched as the path of Irma changed and put us right in the middle of a Category 2 storm and became afraid. I heard the wind start to pick up and I saw the lights flicker and soon go out, and I was terrified. This was the worst storm I was ever going to face. Even as an adult, I felt like crying. But, then I looked at you. I saw you curled at my side, licking my arm, pawing at me to keep petting you, and I realized something. If a little dog like you could weather a massive hurricane like Harvey, I could get through this storm, too. Even though the wind sounded like a freight train and some trees in our neighborhood fell, you gave me the courage to get through it, Xena. You showed that you can weather any storm and find the happy ending after it if you just keep your strength and march on. You also showed me, through completely trusting me to keep you safe during Irma, the power of unconditional love. You had known me for only twenty-four hours at the time, and you had just survived probably the scariest event of your life, yet you believed I would not let anything hurt you. You loved me. You blindly trusted I would protect you even when nature did its worst, and I will never forget that. I remember it every time I see you now, whether it is at home bothering Bolt or in the picture frame on my apartment desk. You had the strength and love inside you to weather two storms no dog should have to endure alone and came out just fine. If you can do it, my warrior princess of hurricanes, so can I.